Did we just become best friends? Yep! 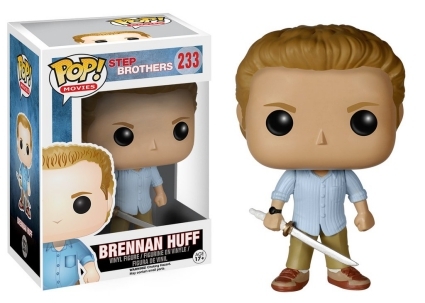 Because Funko Pop Step Brothers can bring (nearly) everyone together, including the stars of the 2008 comedy. The Funko Pop Step Brothers set is almost a perfect reflection of the children, or rather men, who are forced to become brothers thanks to their parents' marriage. Leading the set is Brennan Huff, portrayed by Will Farrell, who is standing in a blue dress shirt with his sleeves rolled up, giving the impression he means business. Although, the fact that Brennan wields a Samurai sword helps suggest that, too. 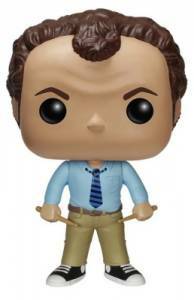 Shop for Pop Step Brothers Figures on Amazon. 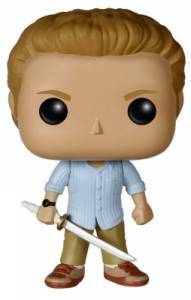 Once again the artists at Funko impress as the vinyl for Dale Doback personifies the actor who played the role: John C. Reilly. The figure has a receding hairline, made even more noticeable by his curly hair, which reveals a few furrow lines on his forehead. In addition, Dale dons business casual attire, including a pair of Chucks, while gripping a drumstick in each hand. Funko Pop Step Brothers is not the only Pop! Movies series for the comedic pair, as both were stylized for the 2006 film Talladega Nights: The Ballad of Ricky Bobby.